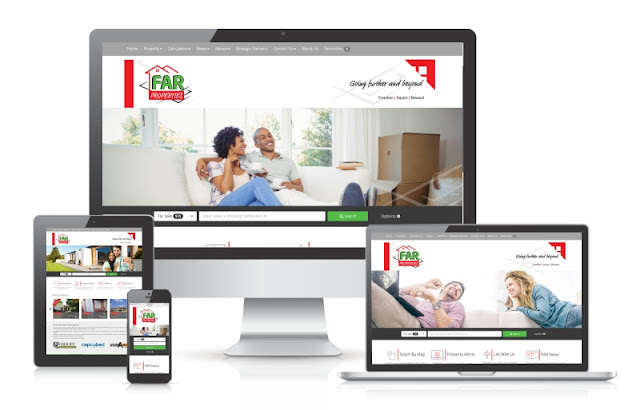 Long time client of Entegral Technologies, FAR Properties, recently decided that they too needed an upgrade and traded in their old office website for a brand new Vision Themed Flex Website. If you drive along the streets of the eastern parts of Pretoria, you'll be familiar with the faces of FAR Properties. This real estate agency mainly sells and rents residential property in the eastern suburbs of Pretoria, Akasia, Centurion, Cullinan and Kempton Park. They've also expanded their horizons to include the provinces of the Eastern Cape, KwaZulu-Natal, Limpopo, Mpumalanga and the Western Cape. Taking advantage of a strong presence in a competitive area requires an online presence of equal strength - both online and offline aspects will complement one another to give you the leading edge. After having one of our old frame work office websites for more than 4 years, FAR Properties upgraded their website to our Vision themed Flex website. All our websites are template based but have the ability to be changed and customised in such a way that it portrays each estate agencies unique profile. Current clients of Entegral Technologies can upgrade their old websites to a new responsive website too at a 20% less discounted rate before the end of 2016. Not many real estate service providers in South Africa have adopted the new responsive technology yet - and they have their own reasons for not having done so but if you do a bit of research in any industry, you'll see that it really is one of the most talked about concepts and truly a great investment for your business. In today's day and age, users browse from any device that they can lay their hands on. Think of your menu, your featured properties, any banners or news articles. If they don't display well on a smaller screen device you'll most certainly lose your visitor. 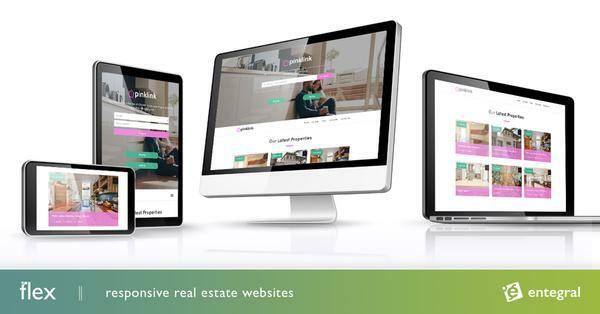 By having a responsive real estate website, your layout is consistent on all devices, it adapts accordingly and creates a pleasant user experience for your buyer or seller. It has been announced by Google themselves that having a mobile friendly responsive website will earn you some valuable SEO points and that responsive design is their recommended method of website development. Because your responsive website adapts to any screen size it's perfect for any mobile device too - we all know by know that mobile is crucial when targeting any market because the majority of browsers make use of the convenience of their smartphones. It's important to keep your online efforts for your real estate business up to date with the latest web design and trends. A responsive design is as on-top-of-the-trend that you'll get and will be one of your most valuable marketing tools for years to come. Having a Flex responsive website with Entegral Technologies means that you only pay once for the setup of one design - no additional setup for a second mobile friendly website version too. All our websites are also template based which means if we do an upgrade to the framework, you don't miss out, everybody benefits from our upgrades. If you want to know more about our real estate products and how they can benefit you and your business, why not give us a call!